“So, from this point forward, what I am about to say is completely politically incorrect and if you have young ears that you don’t want to hear it, you may want to take a fifteen-minute walk. In the last couple of weeks, we have heard some pretty unfortunate things. A cardinal of the Church who abused children and young men, and now in Pennsylvania the grand Jury report 301 priests violated more than a thousand children. And on top of that we have the episcopal cover-up, the word episcopal means bishops, so the cover-up by the bishops. And, it’s not just simply a cover-up, it’s an agenda. So those are not the people that we are having a problem with. The people that we are having a problem with come from two different groups and understand there is an intentional and malicious infiltration of the Church for the purpose of destroying her from within. This is what you need to understand. So these are people with an agenda. And what are the two groups? The two groups are: number one, a group of predatory homosexuals. They started their infiltration of the Church in 1924. You want to look it up? There is a book called The Homosexual Network written in 1982, so this is 20 years before all of this stuff hit. A man named Enrique Rueda looked at all of this, studied all of their own publications, (they were publishing every year the number of seminarians, priest and bishops they had), he traced it back to when they started, it began in 1924. And then five years later, in 1929, the communists began their infiltration of the priesthood and the two groups did exactly the same thing. You want to read about the communist one? 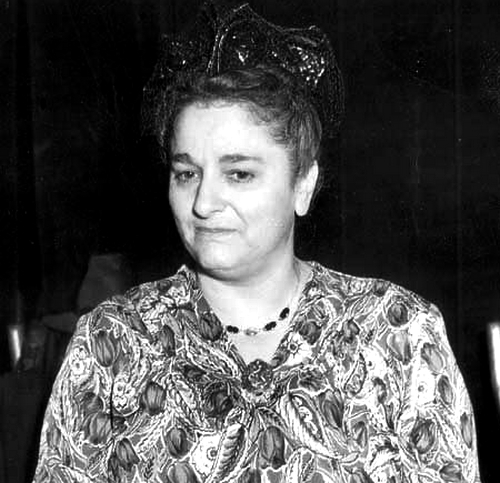 There is a woman by the name of Bella Dodd who was a deep-seated communist who got out of communism and converted to the Faith. She testified before congress in 1953 and in that testimony she said that “we got the instructions from kremlin in 1929 as to what we were to do,” and she said “we were to take the best and the brightest, the guys who were smart enough to live a double life, good looking guys who were sociable so that they would be noticed by their bishop, and they would get promoted, they would become vocation directors, they would become bishops, they would become rectors of seminaries, they would have influential positions” and she said “we were successful beyond our wildest imagination.” She said: “I am personally responsible for more than 1,200 seminarians, priests and bishops.” And in 1953 mind you, again, now they started in 1929, in 1953 she said: “we already have four cardinals in the Vatican.” That was 1953, it’s way worse today. And as sad as this is we have to recognize that it is actually something very good. It is the purification of the Church and that is going to lead ultimately to her crucifixion. Not many are going to remain faithful, unfortunately. But when we look at it and say: “well if this is what is going on in the Church what are we supposed to do?” We are supposed to look at Jesus and say exactly what St. Peter said, “Lord, to whom shall we go? You have the words of eternal life”. Jesus founded one Church and that one Church is the only institution in the world for the salvation of souls. It was founded for that purpose and it will remain to the end of the world for that purpose. So what has happened and what is happening is horrible, it is tragic, it is disgusting; put in whatever other adjective you want to put in there trying to describe it, but actually in the Church it’s not even the worst. Depending on which study you read, in public schools anywhere between 4 and 8 out of every 100 kids is violated somewhere in their 13 years in public schools by a teacher. That’s all being covered up too. Please keep this brave and faithful priest, Fr. Robert Altier, in your prayers. Editor’s Note: If you want to know more about Bella Dodd, you can listen to her discuss Communism and her own participation in subverting the Church in this video. Thank you for the Father Altereri tape. It’s the most spiritually uplift I’ve had for a long time. Gratitude!!!! I have tried to purchase the book by Father Rueda on- line and it is not available through Abe Books or Amazon. Does anyone have any recommendations as to how I can obtain a copy? Even the reviews of the book on Amazon are interesting. With reference to your question, I assume you have tried THIS Amazon link with no success, right? How about THIS one from Open Library that adds two further links on the sidebar below (while mentioning that it is not available as an e-book) but where you might be able to find it in hardback. Have you tried at your Public Library? I always found the PL in my hometown very helpful in digging up old books for me, even though I sometimes had to wait for them to get sent from other libraries. Certainly there is no indication anywhere that this book is no longer in print, so hopefully it will be found somewhere via its ISBN or other ID numbers. It should be a fascinating read. Happy hunting 😉. Thank you Kathleen – Great advice! I will hunt the book up. Father Altier has explained so many anomalies that had puzzled me. Sandi: There is a non-sinful sexual condition correctly identified as “homosexual orientation”. To call it thus is not to normalize it, much less to approve of it. Without looking at my JPII Catechism, I can’t recall ever reading therein that sexual orientation, disordered though it may be, is a sin. It is the act, not the urge, which is sinful. Interestingly, there is absolutely no mention of homosexuality per se in the Council of Trent Catechism, nor – also <per se – in the Baltimore Catechism, nor in the magnificent Fundamentals of Catholic Dogma by Dr Ludwig Ott, the reason being that adultery and homosexual acts are exactly the same insofar as the 6th and 9th Commandments are concerned. The Commandments against these things – and anything – are against words, looks and actions. Impure thoughts, though dangerous, are not sins. Christ commanded: Leviticus 18:22 – 22 You shall not lie with a male as with a woman. It is an abomination. Homosexuality is indeed a choice, if you’re speaking of homosexual acts. Heterosexualily is also a choice, if you are speaking of heterosexual acts, including masturbation. But can I ask: are unrepentant heterosexuals spared the Fires of Hell if they perform sexual acts outside of chaste marriage? I go so far as to submit that heterosexual lust, whether acted upon or not, is no different, theologically speaking, than homosexual lust, whether acted upon or not. Are unrepentant heterosexual adulterers spared the Fires of Hell? Perhaps they’re in a different Circle of Hell than homosexuals, but to say they’re spared Hell because they’re not homosexuals? I doubt it. But until one, whatever his sexual thoughts may be, acts on them, I don’t think he’s evil, wicked or damned. Treading on dangerous ground he may well be; but he is not evil, wicked or damned. I’m able to quote Bible passages too, Sandi, without disputing the lessons impart with the ones you mention, which do not contradict what I’ve just said, or what I said above @ 21:57. I have shown you that we are responsible for our actions/choices. Also: Matthew 15:19 For from the heart come evil thoughts, murder, adultery, all sexual immorality, theft, lying, and slander.20 These are what defile you. Homosexuality is considered unnatural, against nature, and a shameful act as taught in Romans 1:26-28. That is more than just “the act”. Trying to condone homosexuality because of what someone else did wrong, does not make it right. If someone is engaging in homosexuality, they have damned themselves – 1 Corinthians 6:9-11 and shown their wickedness by their rejection of what Christ taught is best. The result of their actions is given in those scripture. Christ is faithful and just to forgive our sin, should we turn to Him, renounce our sin, and follow Him, but, if one chooses not to follow Him, they have chosen perdition for themselves – Homosexuals are not asked more of than any other sinner.